The idealism and energy of youth is the best antidote to the forces of marginalization, corruption, helpessness, and apathy under which most rural communities struggle to survive. We tap that energy to help young people create a better world for themselves and those around them. It is nothing less than a revolution in how the people – especially the young people – of the mountains perveive themselves and how they address problems in their communities. To empower children through knowledge, training, and the power of collective action to change their communities from the ground up. In a region where many still lack running water, toilets, electricity, health care, access to education and economic opportunity, The Mountain Children’s Foundation (MCF) works to empower children in rural mountain villages to improve their communities from the ground up. Our “bottom-up, inside-out” model of development leverages the pwoer of collective action and the energy and idealism of youth to create organic, lasting impacts that strengthen communities, build citizenship, combat discrimination, and raise the profile of child rights and child participation. Over the last 14 years, we have developed a network of children’s groups and non-governmental organizations across the Indian state of Uttarkhand that collaborate to remove barriers for children and enhance the role of young people transforming their communities. 16 villages supported by CRY – Through Child collectives, children are agents of change in their villages. They have advocated and brought about change on Child Participation – that is now acknowledged in their villages, Birth Registration – over 2000 delayed Birth registrations, Sanitation and Hygiene – understanding health and hygine and through their advocacy over 180 toilets were made in their villages. 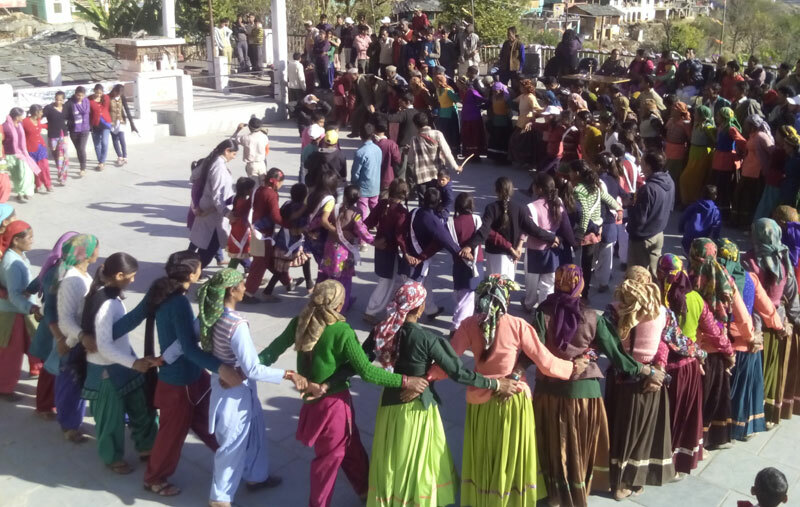 Supported by Himmotthan and the Tata Trusts – A new program is being rolled out in 20 villages of Ghat Chamoli. The focus being Child Participation and children as change agents as well as working with the educational system starting with pre primary and moving onto primary school – changing the quality of education offered. Supported by Childline Foundation in India, a project of the ministry of women and child development – 1098 A Children’s emergency helpline in Dehradun reaches out to children in need. 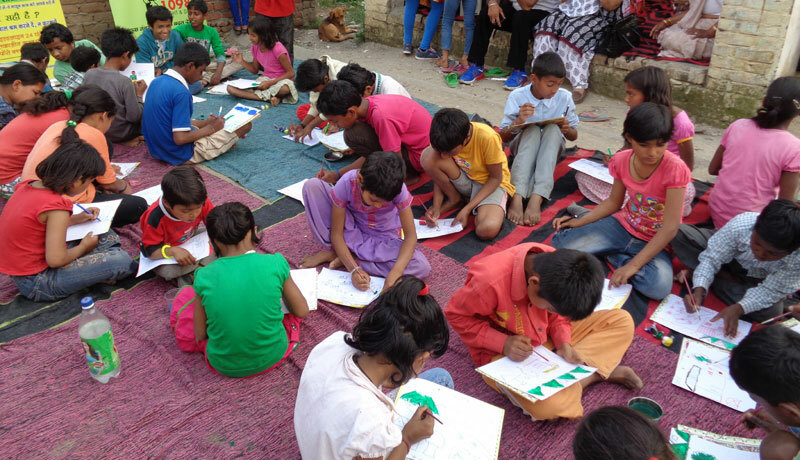 An expansion into Udhamsigh Nagar and Pithoragarh where children learn, understand, and effect change on sanitation and hygiene through their children’s group. The MCF CHILDLINE team talked to the motorists and pedestrians about the harm caused to the children by giving money when they beg as it keeps them out of school and puts them in harm’s way. Conducted activities in slums of Dehradun city to sensitize children on child rights, good and bad habits, sanitation and hygiene, safety issues, and the dangers of drugs. Continued to work with organizations like Aasara Trust, Latika Roy Foundation and Raphael Home to extend immediate protection and safety to the children in difficult circumstances. 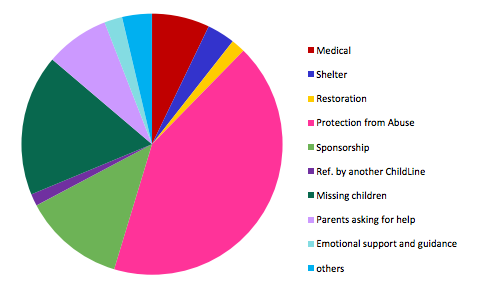 This year, the MCF Child-line team responded to 406 children in these categories. The Childline project spans a variety of state and national laws and policies and the MCF team works closely with various government departments to obtain the necessary services for the children including shelter, medical care, and when necessary, aid from the police.